China says it is ready to respond to “any escalation” by the Philippines, as a tense, month-long standoff continues over a disputed group of islands in the South China Sea. The state-run Xinhua news agency on Tuesday quoted Vice Foreign Minister Fu Ying as saying Beijing is not optimistic about the dispute over the Scarborough Shoal, located about 230 kilometers off the northwestern Philippines. On Monday, Fu summoned a top Philippine diplomat in Beijing to make a “serious representation” over the situation. Fu told Charge D'affaires Alex Chua that Manila was escalating tensions and making it more difficult to reach a negotiated settlement. The standoff began on April 10 when Chinese surveillance ships prevented a Philippine warship from arresting Chinese fishermen near the rocky islands, which both sides claim as sovereign territory. 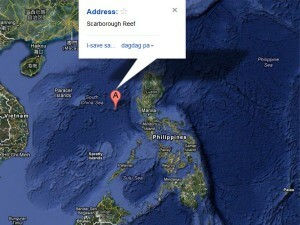 China has already rejected a request by the Philippines to refer the issue to an international court. China says the islands, known as Huangyan in China..